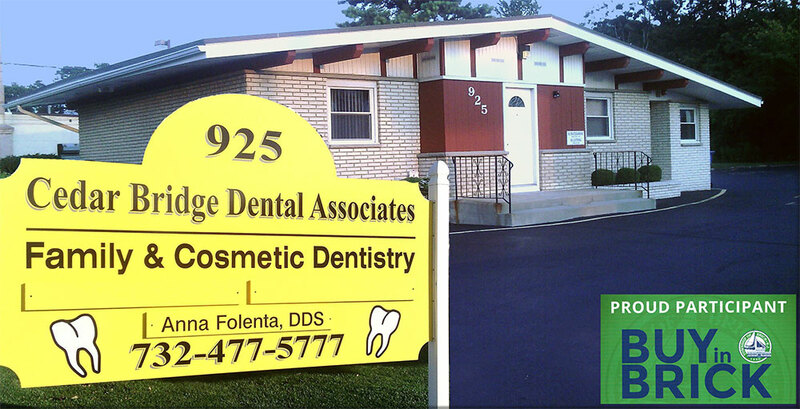 Family & Cosmetic Dentistry to Brick, New Jersey, and the surrounding areas. Cedar Bridge Dental - "Promoting a Healthy Smile"
Dr. Anna Folenta & our experienced Cedar Bridge Dental staff provide a wide range of dental services for all ages, including: cosmetic dentistry, dental implant restoration, tooth whitening, sports appliances, and emergency services. See our full list of services on our Services page!